CALIFORNIA -- The frail, blonde woman collapsed into tears. Sitting on her blue walker she cradled Sammy, one of four dachshunds remaining in her home, where dozens reportedly had been kenneled until authorities stepped in and took them over the past two months. The red, longhair nuzzled her cheeks, kissing her wet face. 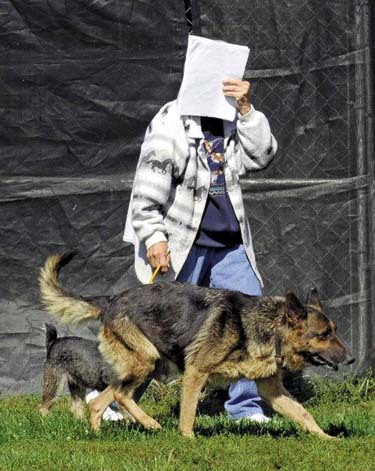 Karen Stone, 47, has been debilitated since 1991, and for several years has been unable to care for the dogs. Her husband and son tried to come to the rescue. Every night her husband cleaned and disinfected the back yard. Her son cleaned their bedding, fed and exercised them. Since August Stone has turned over 26 miniature dachshunds to the Mission Viejo Animal Services Center. The dogs were found when Orange County Sheriff's deputies responded to a traffic accident that led them to Stone's Mission Viejo home. 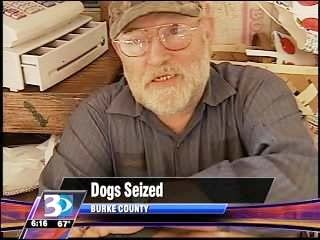 There deputies found more than 70 dogs in kennels in the home and back yard. Nearly all of the dogs' vocal cords had been cut. Sheriff's Deputy Quyen Vuong had difficulty breathing when he entered the house with animal control officers. "It smelled of poop and pee," he said. "She first told us that she was in the process of getting a permit to be a dachshund rescue we later found out that was a lie." Shelter officials gave Stone six weeks to turn over all her dogs. Twenty-six - aged three months to eight years - went to the shelter in three batches. All have been adopted into new homes. Stone said she found homes for the rest. The shelter is continuing its investigation. "It was like giving up my kids," Stone said. "They gave me unconditional love all day long." 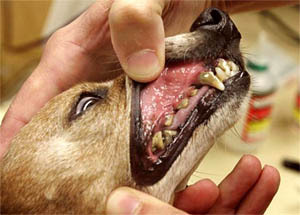 Many suffered extreme dental disease. One had 28 teeth removed. Twenty-four were spayed and neutered. A few required more serious surgeries. "The dogs' mouths were in the top worst I've ever seen," said Dr. Matthew Wheaton, a Mission Viejo vet who provided medical care to the dogs. "Clearly there was a genetic component to this group of dogs." Stone - sitting on her patio near her living room packed with collectibles - started with only one litter of pups about 13 years ago as a hobby for her kids. She took in more than 20 dogs when her best friend - who raised dachshunds in Downey - died from cancer. Others who got dogs from her fell upon hard times and Stone took the dogs back. Recently another friend died - and Stone took her dogs, too. "It gave me something to love and keep me out of my self pity," she said. Shelter officials and Wheaton described Stone as an animal hoarder - defined by the Humane Society of United States as a person who has more animals than he or she can properly care for. "They think they are providing a wonderful safe haven for animals but the whole situation gets out of control," said Wheaton. "Once you have more than 10 animals you're verging on being a hoarder." Stone's case is not the first such one in Orange County. In 2005, more than 30 Pomeranian puppies were seized by animal control when they were discovered — sick with respiratory problems and parasites — in an illegal kennel in a Dana Point attic. More than 200 cats were found in a Garden Grove home in 2006. About 20 had to be euthanized. Each state has laws prohibiting cruelty to animals and imposes on caretakers the duty of providing minimal care. Cities vary on the number of animals allowed. In Mission Viejo four dogs and four cats can legally be owned. If there are litters, puppies and kittens must be in new homes in four months. "We get reports of people violating the more-than-three-animals limit fairly regularly," said Ryan Drabek, spokesperson Orange County Animal Care that serves 19 cities in the county. "We don't find real hoarding - more than 20 animals - more than once or twice a year." Mission Viejo shelter officials say rarely see such serious cases. "What is unusual is that she started as an unauthorized business and somewhere down the line she went into denial about the number and the healthcare care that was being neglected," said Sharon Cody, president of the Dedicated Animal Welfare Group that spent more than $10,000 in medical bills to make the dachshunds adoptable. "She will be monitored for compliance." When the dogs arrived at the shelter some were shy but most seem well-socialized. All were quarantined for a week as a precaution against disease. It wasn't long before word about their presence at the shelter spread drawing dachshund aficionados from all over Orange County, seeking to adopt the animals. A week ago almost all the dachshunds and their new families reunited at Cody's home. When Kathe Hayden came to the shelter looking to rescue a dachshund after her dachshund of 17 years died, she couldn't believe her eyes. She saw one, then another and another - all purebred dogs. "I thought there must be something up," she said. "They told me it was a local breeder without a license." She put two and two together, remembered having seen some of Stone's dogs and phoned her. "Are these dogs at the pound yours?" she asked. 'Yes,' she was told. 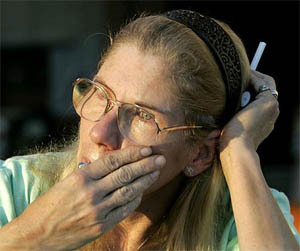 Stone explained that she lost control of her dogs because of her medical problems. She had been told to turn them in to the shelter. Hayden opted to get one of the rescues from the shelter. The family adopted Addie, a sable-longhaired, two-year-old. She had six teeth pulled. "She's an absolute joy," said Hayden. "She just wants you to hug and kiss her." Marlene and Jeff Hellerman from Laguna Niguel had combed local shelters looking for another dachshund. It had been more than a year since they lost Oscar, who lived to age 20. "I've had dachshunds all my life," cooed Marlene Hellerman, holding her new puppy Penny Lane who was nose to nose with her brother Buster Brown, held by Jeff Hellerman. "When we walked into Mission Viejo and saw their pictures at the front counter we looked at each other and said 'Yes. We want an application.' I just fell to my knees and cried they were so loving and sweet." GEORGIA -- On October 26 an animal complaint was filed at a Hough Circle location after a woman reported that while her daughter was walking her dog, a Pit Bull ran from a yard and attacked the daughter. Reports state that the dog did not bite the girl but the girl reported that the dog would not allow her to leave. The daughter suffered scratches to her face. The dog is not current on rabies shots, reports state, and Madison Animal Control has been notified. On October 23 a dog attack complaint was filed at a Cedar Grove Road, Buckhead, location after a woman reported that when she came home she was attacked by approximately six dogs. The dogs chased the woman into her house and then attacked a family pet. The pet was bitten in the right rear leg, right front leg and neck. The woman said she believes two of the dogs belong to a neighbor. There were no visible collars on the dogs. 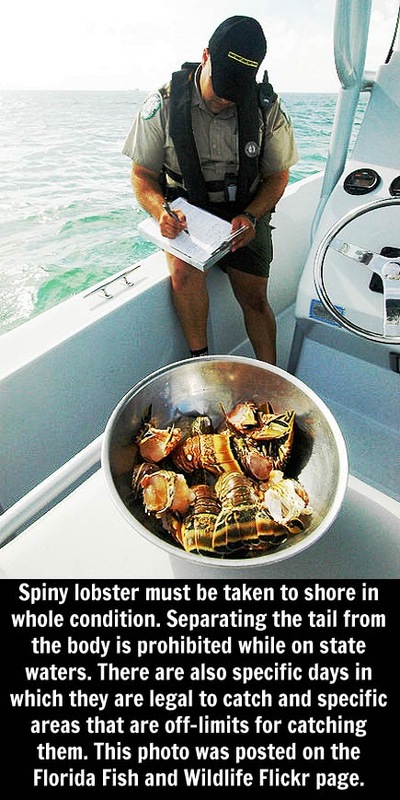 FLORIDA -- Florida Fish & Wildlife Conservation Commission informed that its officer had made a big discovery over the weekend: nearly 800 spiny lobster tails, most undersized, hidden in a small compartment of a filthy, hot, cockroach infested boat cabin in the Florida Keys. Officer Jill Izsak told that the guys who have been here for 20 years said it's one of the biggest cases they've ever seen. According to Izsak, Capt. 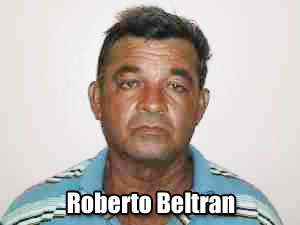 Roberto Beltran, 57, and Benito Estepe, 66, both of Carol City, and Leonardo Cancio, 56, of Boot Key, were arrested and taken to Marathon jail, charged with two felonies and several state fishing violations. 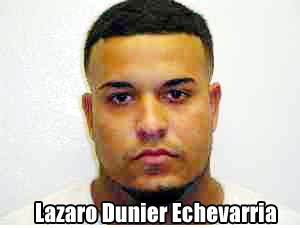 He informed that the charges: trap molesting, grand theft, undersized catch and wrung lobster tails on the water, meaning the edible tails were separated from the discarded bodies before the boat reached shore. FWC spokesman Bobby Dube told that the men each face up to five years in prison, a $5,000 fine and forfeiture of the 40-foot fishing boat, Kristal, which was seized as evidence. Scott Zimmerman, executive director of the Florida Keys Commercial Fishermen's Association, pointed out that over the past few years, trap robbing and illegal fishing have become an increasing problem in the Keys due to the growing economic struggles of commercial fishermen and the cutback of law enforcement to patrol the thousands of square miles of water. According to Dube the FWC's new patrol boat, the Marathon-based Seahawk, which has triple engines, has helped. 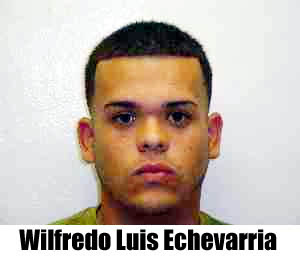 He informed that on Friday, FWC officers arrested Lazaro Echevarria, 22, and Wilfredo Echevarria, 18, of Homestead, on several charges, including robbing 10 stone crab claws from a private trap, a third-degree felony. Zimmerman said every case is important, no matter the size of the illegal catch. ALABAMA -- The owner of three dogs found abandoned and starving in a Stapleton mobile home was charged with animal cruelty after turning himself in to Baldwin County authorities today, according to a Sheriff's Office spokesman. Michael Blackmon, 29, was charged with three counts of animal cruelty, Maj. Anthony Lowery, Civil Division commander, said. The defendant was released from the Baldwin County Corrections Center today on $500 bail, according to jail records. ALABAMA -- The Baldwin County Sheriff's Office launched an animal abuse investigation in the Stapleton community this week. On Tuesday, the Sheriff's Office received a call from a concerned citizen, who reported dogs that had not been given food or water for about three weeks, according to a news release from the agency. 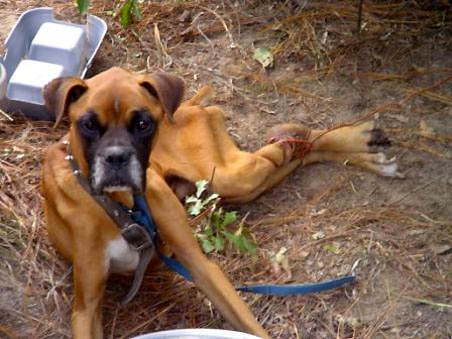 Deputies found two of three emaciated dogs outside the home on Baldwin County 39. The third was inside the home, the release states. One of the dogs outside the home had a cable wrapped around both of its back legs, causing one of the limbs to decompose, the release states. The dog inside the home was so malnourished it was unable to stand on its own. Sheriff's officials haven't released the name of the dog's owner, who they were searching for as of about 11:30 a.m. today, an official said. KANSAS -- A dog that attacked three people in Salina Tuesday not was not a Pit Bull. Authorities at the scene initially identified the dog as a Pit Bulls. Wednesday morning police said that it was actually a Bulldog-Boxer mix named "Scrappy". At around 5:30 in the evening police were called to 917 Pontiac to the report of a vicious dog. Police were called to the scene by a neighbor. 16-year-old Derek Rico is a student at Salina Central High School who lives in the house next door. one of the smaller dogs into his vehicle. He tells KSAL News that he and a friend heard screams coming from their neighbor's backyard. He went to see what was going on, and discovered a large dog mauling a girl. 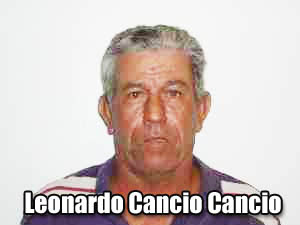 Rico says that there were a couple of small children nearby, so he got a shovel out of the garage and smacked the dog in the face with it. The dog did not slow down, and instead turned on Rico. He jumped a fence to escape, sustaining a cut over his eye and a cut on his hand. Police arrived at the scene, and shot the dog in the chest with a shotgun. It did not go down. Animal Control arrived, and shot the dog with a tranquilizer dart. It still did not go down. It finally went down after an animal control officer got close enough to give it a tranquilizer injection. Animal Control Officer Shane Hyman ended up taking three dogs from the home, including a large dog and two smaller dogs. Salina Police Lt. Allen Salzman says that the large dog was the aggressor. According to Police, 16-year old Christina Chapman, 11-year old Marquita Atkins and 10-year old Jasmine Atkins were all bit by the dog. No charges have been filed so far, as the investigation continues. GEORGIA -- A northern Forsyth County woman thinks someone intentionally harmed a cat she found Sunday morning pinned in the door of her roommate's sport utility vehicle. Sacha Beach, who lives on Ridgebrook Bend, said it appears someone slammed the cat's body between the door and the door jam, breaking its back legs and pushing its insides out of its body. "It was just an ungodly sight," she said. "I've never seen anything like this." Forsyth County Sheriff's Capt. Frank Huggins said the person who harmed the cat could be charged with aggravated cruelty to animals, a felony. Beach said when she found the cat Sunday morning, its hind legs were hanging out of the back driver's side door of the truck. She also said the car seat for her roommate's daughter was left in the driveway. She said her roommate came home about 10 p.m. Saturday. He hadn't heard anything outside and had left his doors unlocked. "My first thinking was to get the cat out and I picked it up and it was friendly and didn't try to bite me," Beach said. "As I put it on the ground it just laid there and tried to move and I noticed its legs were broken." According to a Forsyth County Sheriff's report, the cat died shortly after being removed from the truck. "This appears to be a deliberate act of cruelty to animals targeting Ms. Beach or her roommate," the report said. Beach said the investigating deputy took the cat's body to be disposed of properly. She said nothing was missing from the truck. She could not determine if the cat was male or female. It did not have a collar, though she said it looked like it had been taken care of by someone. INDIANA -- A Sullivan County woman with more than 200 dogs, cats, horses and other animals is being investigated for alleged animal neglect by Indiana State Police in cooperation with the Humane Society of the United States and other agencies. State Police and several support agencies converged on the northwest Sullivan homestead Wednesday morning. The rural home is near Fairbanks. The animals’ owner declined to comment to media, and police were not releasing the woman’s name. The investigation continues, and no arrest was made. State Police followed up after receiving a complaint late last week that the animals were in poor health, underfed and living in squalid conditions, said Sgt. Joe Watts. Initial reports indicated there were as many as 300 dogs, and early this week, State Police solicited the assistance of the other agencies. 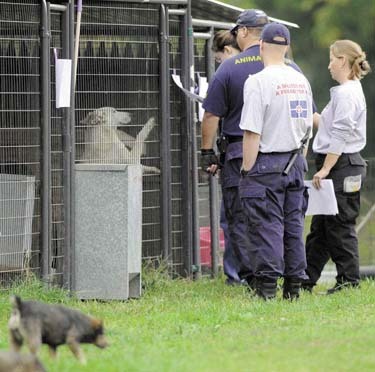 The actual number was about 150 dogs, 35 to 50 cats, 25 to 30 horses and eight to 10 ponies, all of various breeds. “Some of the animals appeared to be living in conditions as initially reported,” according to a State Police news release. 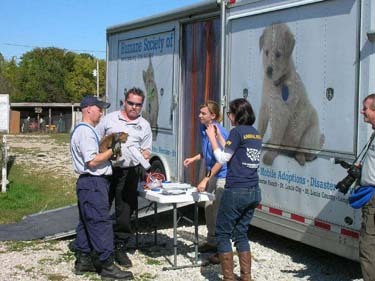 On Wednesday, local veterinarians and members of the HSUS Animal Rescue assessed each animal’s needs and conditions. Those assessments showed that 67 animals were in need of urgent care, Watts said. 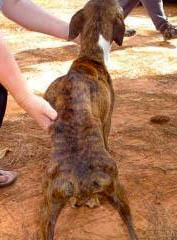 Many of the dogs were emaciated and suffered from medical conditions such as open sores, broken limbs and severe skin conditions, according to HSUS representatives. 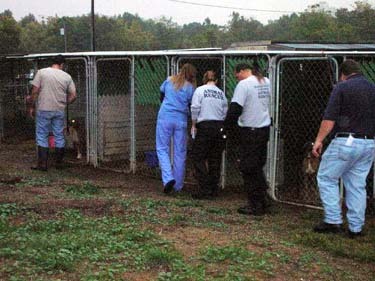 State Police and Humane Society representatives then consulted with the owner, who voluntarily gave up permanent custody of the 67 animals, which were turned over to the Humane Society of the United States. The animals — 52 dogs, 10 horses, four cats and one goat — were transported by trucks and trailers to the Sullivan County 4-H Fairgrounds, where an emergency shelter was set up. Every animal was to be assessed by a veterinarian and given any necessary medical attention. They then will be transferred to humane organizations where they will be evaluated and placed for adoption, according to an HSUS news release. Once the investigation is complete, results will be turned over to the Sullivan County prosecutor, Watts said. Violation of Indiana’s animal neglect statute is a class B misdemeanor, punishable by up to 180 days in jail and a maximum of a $1,000 fine. 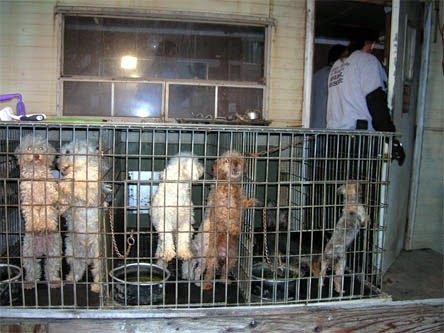 Anne Sterling, HSUS Indiana state director, described the operation as a puppy mill, or commercial breeding operation. “We have quite a few commercial breeding facilities in Indiana, and these facilities, unless they are regulated by the U.S. Department of Agriculture, are not regulated,” Sterling said. In Indiana, if such a breeding operation sells wholesale to pet stores, it should be licensed by the U.S. Department of Agriculture, she said. But if the operation conducts sales by Internet or along the road, she said it does not have to be licensed. “That’s the gap in Indiana,” she said. Such operations are not regulated or inspected by any agency. 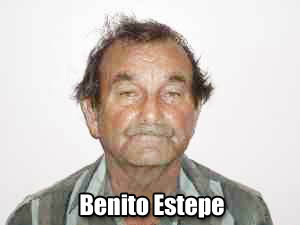 The case was investigated by ISP Detective Tom Hanks, with assistance from other detectives and troopers. 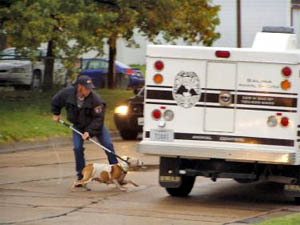 Other agencies involved were: the Sullivan County Sheriff’s Department; Sullivan County Prosecutor’s Office; Indianapolis Department of Animal Control; U.S. Department of Agriculture, Investigative and Enforcement Services; U.S. Department of Agriculture, Office of Inspector General; U.S. Humane Society; Humane Society of Missouri; Monroe County Humane Society; Honey Creek Animal Hospital; and Horse and Angels Rescue, according to a State Police news release. PENNSYLVANIA -- A Bethlehem man will pay a $300 fine and be on 18 months of probation after pleading guilty Tuesday to putting a kitten in a microwave. Shawn T. McGonigal, 28, of 568 Brighton St. was ordered to have no contact with animals, to get mental health treatment, and to attend anger management classes as part of his sentence on the misdemeanor cruelty to animals charge. McGonigal claimed he was angry with the cat because it urinated on him while he slept at his girlfriend's Bath apartment, said prosecutor Jacqueline Taschner. The kitten suffered burn injuries to its feet, ears, whiskers and mouth. McGonigal's fine will be paid to the Society for the Prevention of Cruelty to Animals, Northampton County Judge Kimberly McFadden ruled. NORTH CAROLINA -- It's been five or six years since Burke County Sheriff's Maj. Banks Hinceman has seen animals living in conditions as filthy as he saw Thursday at a produce stand on N.C. 18 South. "It was just something that got out of hand," Steve Thomas Hudson, owner of the produce stand, said about the multitude of allegedly abused dogs that animal control officers pulled out from behind his produce stand. The Burke County Sheriff's Office charged Hudson, who lives in Catawba County, with 17 counts of misdemeanor cruelty to an animal. Investigators said a felony charge is pending. Officers searched the property next to Hudson's Produce on N.C. 18 south of Morganton and found the mixed-breed dogs, four of them puppies, in a camper and three buildings. In some cases, the animals were living in a foot of built-up feces, Massey said. The wretched stench of dog feces surrounding the quarantined dogs as they barked at the presence of humans. Inches of feces covered the floors. Abandoned metal objects surrounded the dogs in the small sheds that provided little to no sunlight. Deputy William Townsend donned a full body suit before entering one shed that held numerous dogs. Other officers wore partial face masks to screen out the odor. They found four dogs locked in the cab of a pickup truck parked in direct sunlight. Less than 20 feet away, Hudson operated a stand selling fruits and vegetables. Animal control officers found 17 live adult dogs, four live puppies and one dead adult dog, according to Lt. Steve Massey. Deputy Billy Carswell said a veterinarian would examine the dogs and evaluate them for adoption potential. 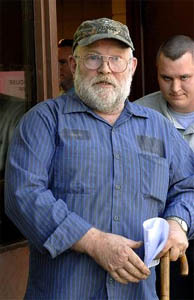 While Carswell escorted an irate Hudson from the magistrate's office to the Burke County Jail, Hudson repeatedly hurled obscenities at reporters. "I done the best I could," Hudson said. Hudson says the dogs were strays that he rescued from the roads and the he wasn't hurting them. "No, they's well fed, watered and taken care of," he said. At best, authorities say all Hudson did was throw some food in now and then. They said the puppies have never been touched by human hands. They were locked up and living in filth with no attempt by Hudson to clean it. Hinceman also said the N.C. Department of Health and Human Services would be contacted regarding the food stand's proximity to the ramshackle housing for the dogs.